SHOULD WE STOP TAKING MEDICARE PATIENTS? While at the annual meeting this year, a member asked a technical question about recording patient videos. He planned to tape every patient encounter and abandon written records. He'd bill the correct evaluation and management (E&M) codes, he reasoned, and if auditors came, he would simply hand over the digital files so they could review whether the correct number of bullets, level of decision-making, and medical complexity had been met. When several experts explained that his plan failed to comply with the Centers for Medicare and Medicaid Services (CMS) standards for documentation — not to mention raising various legal and Health Insurance Portability and Accountability Act issues — he argued that no one could possibly know, because perhaps this “creative solution” had simply never been applied before. Declining revenue from the loss of consultation codes and other cuts, as well as the increasing costs of complying with new regulatory mandates is placing a greater squeeze on practicing neurologists to try to stay afloat financially. But it's during such times that physicians tend to take shortcuts or make impulsive decisions that are based on emotion. And with audits on the rise, that's when trouble can really start. Before you make a change in your practice, make sure that it is rational, and above all else, legal. Over the past few months, the AAN has received several questions from members seeking to make sure that their practice changes are sound. For example, Jacqueline S. Crawford, of Knoxville, TN, asked: Do we all stop taking Medicare next week in order to send a message to Congress? Individual physicians may stop accepting Medicare patients if they want to send a personal “message” to the Congress. “However, physicians may not collaborate (or conspire) to collectively stop accepting Medicare patients in order to send a group ‘message’ because such action would amount to an illegal boycott or restraint of trade under federal antitrust laws,” warned AAN General Counsel Murray Sagsveen, JD. Legal experts advise that medical society conduct meets the “contract combination...or conspiracy” element of a section 1 violation. A legal precedent was set in FTC v. Superior Court Trial Lawyers Association, 435 U.S. 411 (1990). The Court held that a bar association agreement to stop representing indigent criminal defendants unless the District of Columbia increased their compensation “was unquestionably a naked restraint on price and output” and as such was unlawful. What members may do, as individuals, is to respond to e-mail action alerts using Vocus, the online advocacy tool from the AAN, www.aan.com/go/advocacy/active/vocus. The easiest way you can influence positive changes in US health care policy is by simply making your voice heard by logging in and sending a letter to your congressional representatives. In another question, an AAN member who chose to remain anonymous, asked about whether as a Medicare-provider, it is legal to accept payment for clinical services directly from patients. If not, she asked, will the law for mandatory health insurance make this form of direct payment illegal in 2012? She noted that her patients and referring doctors are disappointed that she is not accepting new Medicare patients, and that some patients have offered to pay her out-of-pocket for clinic visits. Medicare has specific rules about accepting payment from patients. Participating physicians must agree to take assignment on all Medicare claims and must accept Medicare's allowed amount as payment in full for all covered services and cannot bill the patient for amounts in excess of the Medicare allowance. Nonparticipating physicians receive 95 percent of the Medicare-allowed reimbursement amount that participating physicians receive. The physician can collect for the service from the patient and may bill patients up to the limiting charge, which is 115 percent of the Medicare-approved amount for nonparticipating physicians. “Neurologists must make hard choices,” said Marc R. Nuwer, MD, PhD, former chair of the AAN Medical Economics and Management Committee. “For those who opt out, neither they nor their patients will receive any payment from Medicare. For those who stay in, they may need to cost shift from Medicare to another income source in order to balance their practice books,” he explained. The situation has not changed with regards to the new health insurance reform law, Dr. Nuwer pointed out. There are other rules and choices. He recommends that physicians who consider their options do so together with the attorney and accountant. The Allergan Web site states that the importation of any pharmaceutical or biologic product into the United States from another country without FDA approval remains illegal. Only the form of botullinum toxin product that is approved for distribution in the US, should be used by US physicians. It warns that given the recent rise in importation and use of counterfeit products, the quality of the therapy can only be guaranteed when obtained from Allergan or an authorized distributor, and explains that biologic pharmaceuticals require strict manufacturing, storage, and transportation procedures. Deviations in these processes may lead to degradation of clinical effect. The FDA also explains that medicine bought over the Internet from foreign sources, from storefront businesses that offer to buy foreign medicine for you, or during trips outside the United States, may not be safe or effective. These medicines may present health risks, and the FDA cannot ensure the safety of medicine from these sources. Furthermore, it can't help you if you have problems with medicine you get from outside U.S. regulation and oversight. “In addition to the legal issues related to importation, there are huge associated malpractice issues,” cautions Sagsveen. For example, if a neurologist injects imported the botulinum toxin therapy and later learns that the patient has been injured because the product has been contaminated or damaged in shipment, it is likely that he or she would be 100 percent responsible. “The upside is so small (marginal increased profit) and the downside is so big (criminal conviction) — to me this is a no brainer,” he said. 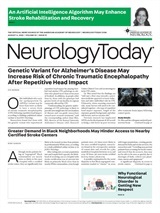 Neurology Today10(13):38, July 1, 2010.